To start, create a new image in Acorn, File ▸ New. The dimensions of 1000 x 1000 pixels with a white background is used here. Create a new layer, Layer ▸ New Layer. 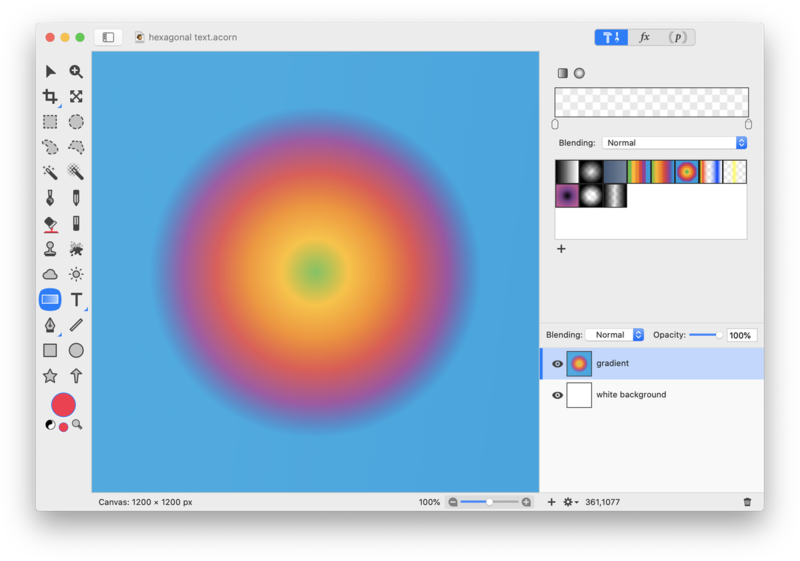 Choose the gradient tool and select the radial rainbow gradient with the smooth color transitions. 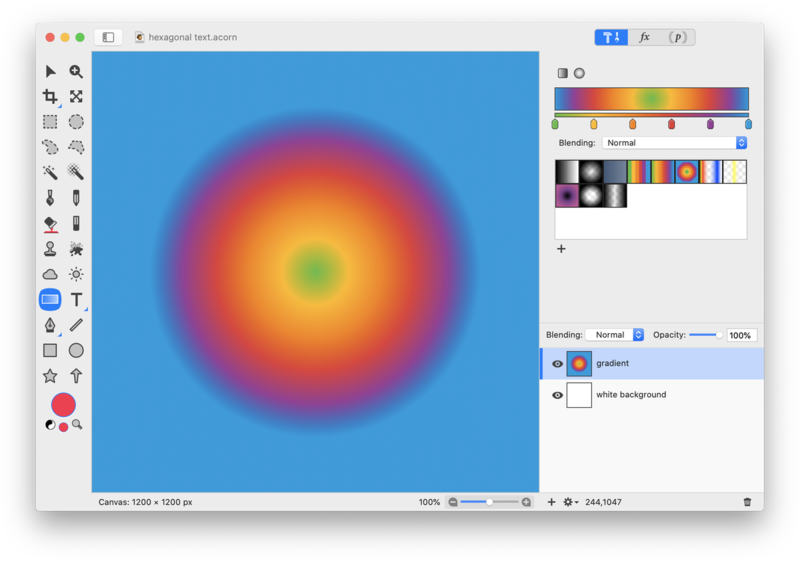 Drag out a gradient on your canvas. Create a 15% opacity white to 10% opacity white gradient and drag it across your canvas. 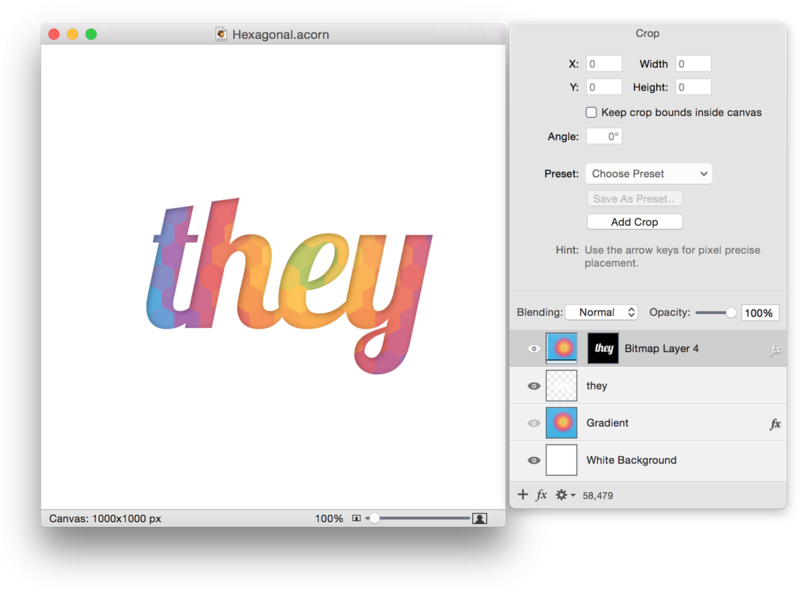 For more details on how to create this type of gradient, read here. 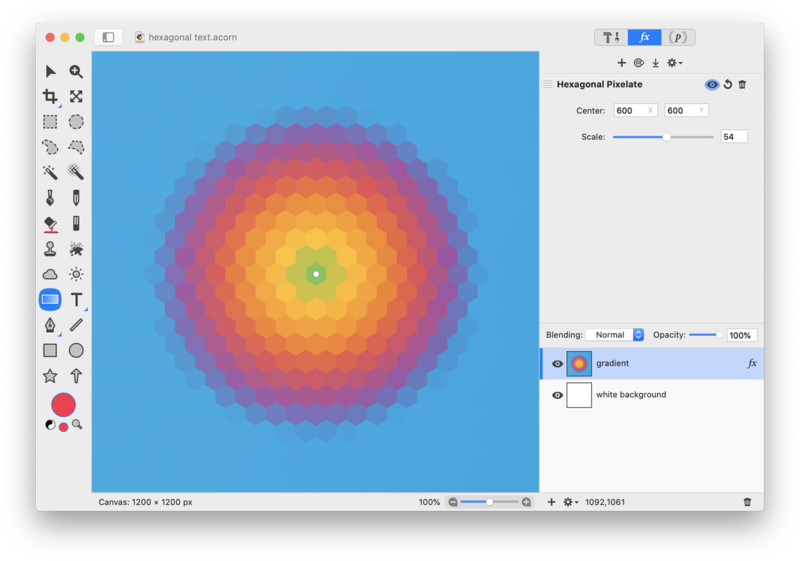 Now go to Filter ▸ Stylize ▸ Hexagonal Pixellate. The settings used here can be seen below. 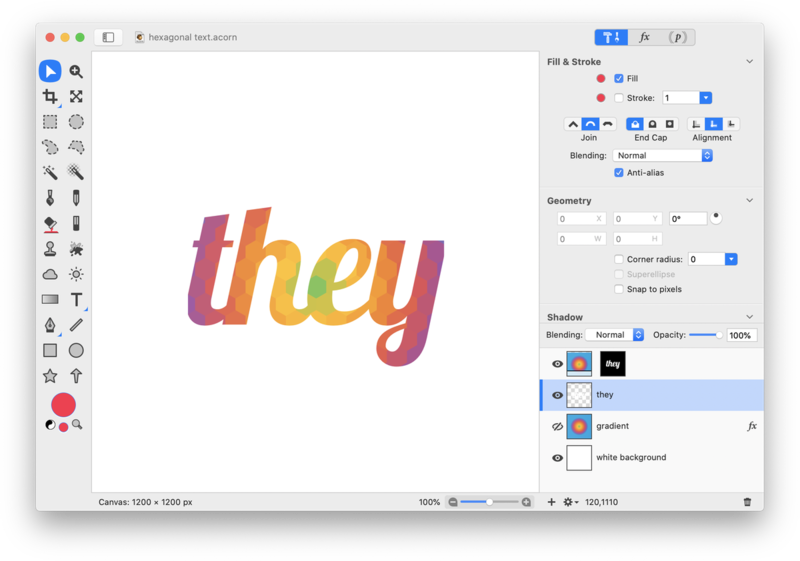 Click on the text tool, and choose the ‘Lobster’ font family in the inspector palette. Type out your text with a fill but no stroke. 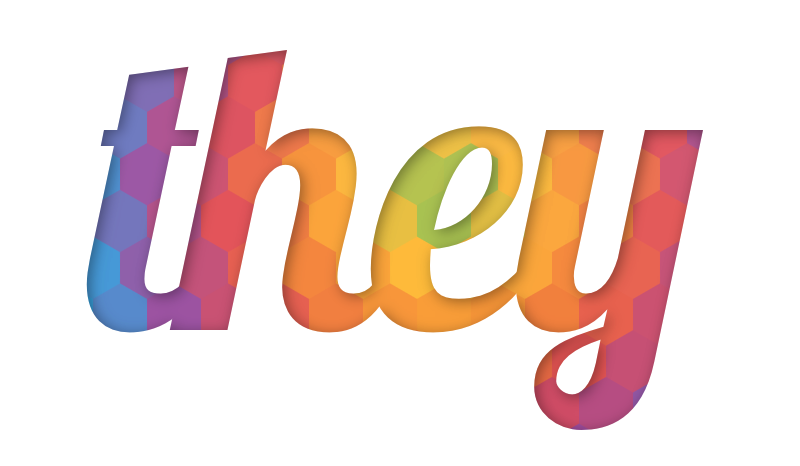 Play around with the kerning setting to bring the letters closer together. Click on your gradient layer in the layers list. Choose Edit ▸ Copy. 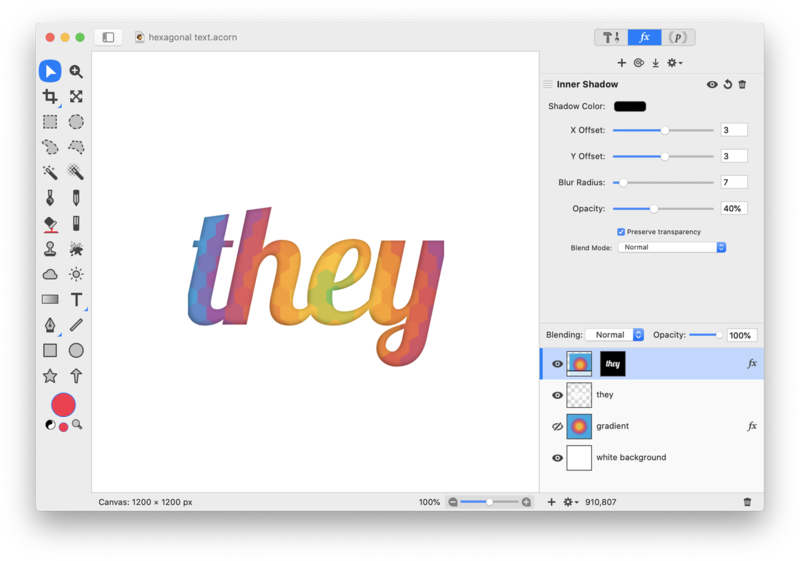 Hide the gradient layer by clicking on the visibility icon in the layers list. Click on your text layer and choose Select ▸ Make Selection from Layer, then Edit ▸ Paste Into. Click on the gradient thumbnail in the layer mask layer to select it. For more information on this, read ‘Layer Masks’. Click on the ‘fx’ button and choose Stylize ▸ Inner Shadow. The settings used here are seen below. 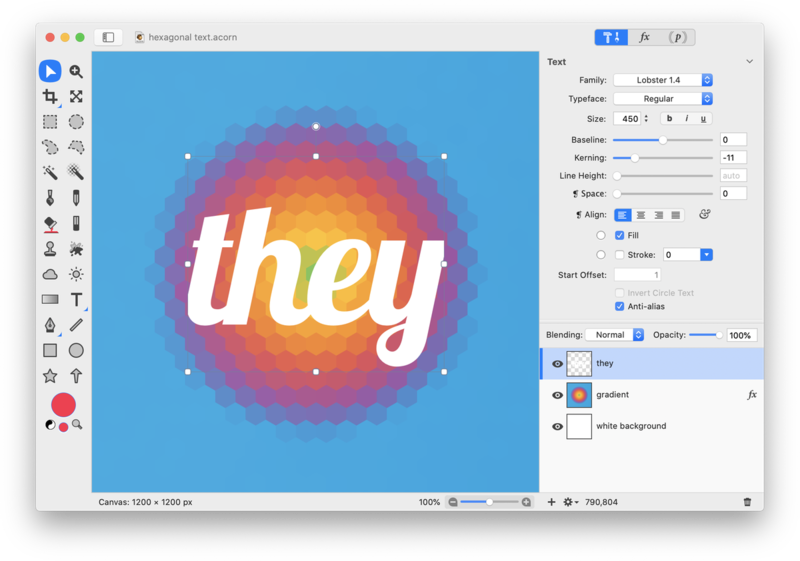 If needed, play around with moving the layer mask or the gradient to position your text where you want it. Use the crop tool if needed to clean things up! Thank you Mental Floss for the inspiration for this tutorial.